Before Charlie was born, his mother, Annabelle, spent most of her time working as a saloon girl. It paid well, but the customers weren’t always decent. Some were even violent, and she had to put up with it in order to make the money she needed to survive. One night, a man paid her very well to spend a few hours with her. 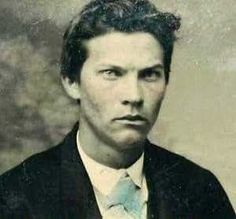 He happened to be a vicious outlaw by the name of John Wesley Hardin, and she was rather intimidated, but too scared to turn him down. Laying low from the law, Hardin would spend several months in town. And, every time he was with a saloon girl, it was always Annabelle. When Hardin finally did leave town in a hurry to avoid the law, Annabelle was pregnant. She continued on with her saloon job, and did so up until a few days before her son was born. She’d only get a few days to recover before she had to get back to it. It was Annabelle’s mother that had to watch the baby while Annabelle worked. She made sure to give the baby her own last name in the hopes that Hardin would never find out about her having his son. Three years went by, and Charlie was growing well, and having a relatively happy life despite the environment he was living in. His grandmother was good about making sure he avoided all the negativity that could come along with Annabelle’s lifestyle. But, Hardin did happen to find out about his son and came back to town. When he confronted Annabelle about it, she denied it at first, but the boy looked too much like John for him to feel the child wasn’t his. Hardin wanted the child to raise, but Annabelle wasn’t going to give him up to an outlaw, even if John was the father. So, a short fight led to Hardin getting so mad he wanted her dead. The sound woke up Charlie, who picked a bad time to see about his mother. John ended up putting two bullets in her, and she soon lay bleeding as young Charlie witnessed it all. The trauma caused by seeing his mother fatally wounded at such a young age sent the boy into shock, forever mentally scarred by the event. So much so, that the boy would never speak again. He would from then on be considered a mute. The boy was then taken by Hardin and raised in a harsh enough world that it would solidify him in being how he was. Growing up, he’d come to know ridicule and humiliation from never uttering a word. Hardin would not treat the boy well, also hating the fact that his son wouldn’t talk. Knowing no love or affection, the coldness that came from Hardin was overwhelming at times, and he longed to be back with his grandmother. That was never to be again. Charlie was taught how to shoot a gun, how to fight and manage day to day living while not spending much time in one place. Around the age of 17, Hardin was caught by the law and would be in prison for over a decade. Now free, Charlie was able to be without the outlaw lifestyle and try his best to remain in one town for as long as possible. But, with how he was a mute, it was hard for him to try and fit in anywhere. He suffered bouts of depression often as well as fits of rage. It never takes much to trigger either of those into happening. Currently, he struggles to remain off the wanted list. And, he dares never let it be known whom his father is, for fear he’d be hated for it. Or worse, tossed behind bars just for being connected to the man. 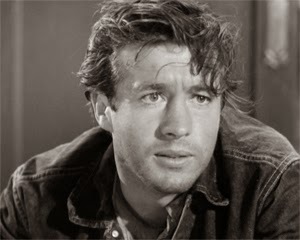 For now, it could go either way, given the circumstances- he could end up becoming an outlaw, or make a decent lawman. Communication- Charlie uses simple forms of hand gestures and sign language to get his message across to others. He also can make sounds, but never words. Also, he does know how to write well enough to jot down information for others to read when he needs to. Assumptions- Because of his inability to speak, some might assume that Charlie is ‘slow’. Traveling- Likes to keep on the move, but will settle down in a town as long as he feels welcome. Job- Works as a ranch hand, or participates in cattle drives when he can find the work. Body- Muscular, but not overly so. Has some scars here and there. –If the woman he loves is taken from him by another man and feels he’s been pushed into a corner to try and win her back. –If anyone he cares for (especially the woman he loves) is kidnapped/held hostage, he’ll do whatever it takes to get them. –If he loses the woman he loves to the grim reaper. –If his father returns and messes with his head enough to have it seem like it’s a good idea. –If he ever needs money for something that’s very important, and he feels desperate to get it. –If he ever gets to the point where he feels he has no choice. –If he becomes fed up with the outlaw image he’s always been known for. –If he ever decides to live inside a town, and he wants to see it ‘cleaned up’. –If he ever feels like he must take it upon himself to put his father back in jail. –If he ever feels he has nothing else to lose, but is determined to remain on the right side of the law. –If he’s trying to prove himself to others, especially a woman he loves. 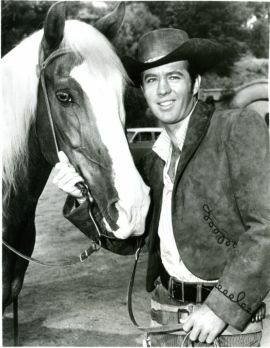 Charlie and his horse, Tex. One day I'm gonna talk again.